While we will always empower you and your company to be brave, and be fearless, we want you to focus that energy on your business. Ultimately, we are only as successful as our clients’ businesses and their growth. 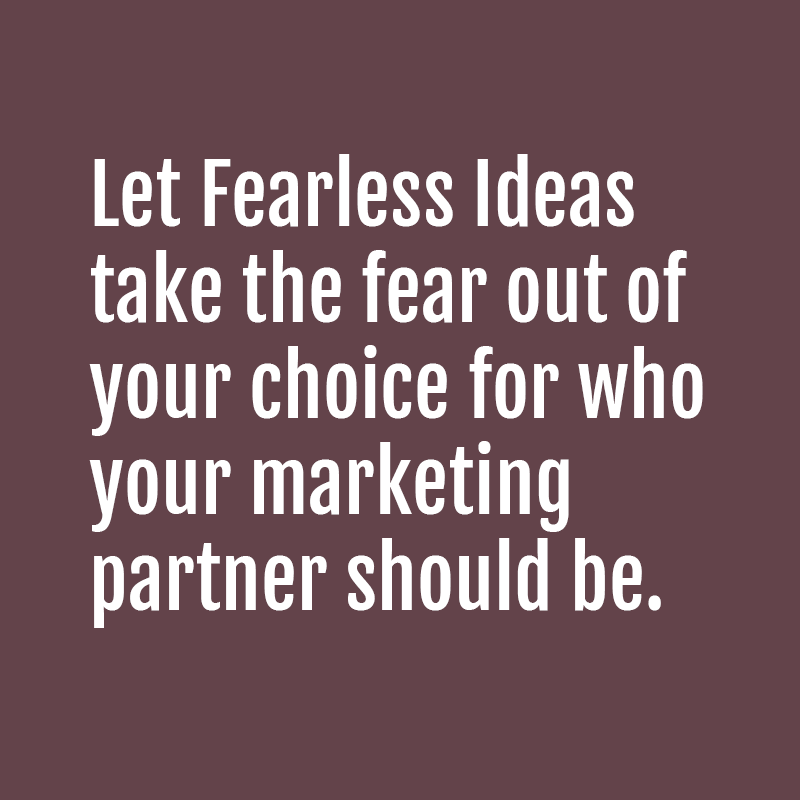 That’s why at Fearless Ideas, we’ll take the fear out of your choice of what marketing partner to move forward with. We stand by our work 100% and so when you work with Fearless Ideas, you will never pay for a project no matter how big or small, until a project is complete, and you are satisfied with the work. Work with us and your satisfaction, and results, are guaranteed.